With the scary financial crisis in the US, I am still grateful and thankful to be a US citizen. I still believe we live in the greatest country in the world. Even though my husband and I are one of the several million Americans who have lost their home this year, we are not “homeless”; we live in an apartment now. So I am thankful we have comfortable roof over our heads. I am thankful that my husband is able to work two jobs in two honorable positions; pastor and high school history teacher. I am thankful the church allows my husband to work another full time since I am unable to work. I am thankful I have plenty of food to eat, clothes on my back and closet, and the added extra… my computer and Internet! Wow, you have this right on... To be thankful for what we really have and not what was once. This post really touches me. Thank you. Thank God for the wonderful ways He has provided for you and family, Michelle! Thank God for giving you such a thankful heart! I am greatly encouraged by your trust in God and being grateful for what you still have. May God continue to provide for your every need. Thanks for your encouragements! It is a great comfort that God loves us and He holds true to His promises! Love to you too dear friend. 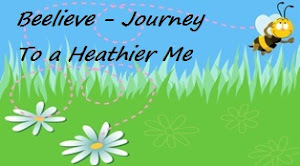 I love your beautiful graphic and well chosen Bible verse! Such a grateful heart with how He has supplied your needs even though you have had to make adjustments, you have a beautiful attitude that reflects Jesus! Praise God! Thank you for sharing so beautifully! Well I had to let you know that we are on the same page, lady! 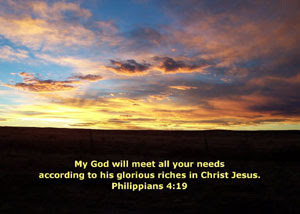 I just posted (like 30 minutes ago) about Jehovah-Jireh, the Lord will provide! Well that's just neat. I stand on that scripture too in these tough times. He is Faithful! Your thankful heart is precious and touches me deeply. So many people live in yesterday instead of seeing what God has done for them today. You have shown great strength by choosing to praise!! Blessings to you sweet sister. We have so much to be thankful for even in the storm. Its amazing isn't it all that we have to be thankful for! Such a sweet Thankful Thursday. I pray that God will meet all your needs, even before you know that you needed them! He's just that good!! Amen to all you said! As frustrated as I am over this aweful bail out, I know that when I go to Kenya I'll be startled back into the reality of how good it is to be an American.